1. Download the software application AND the browser connector. 2. Open Zotero. In your browser, search for an article in a database. 3. Click the Zotero icon at the top of your browser to save a citation from that page. It will look different depending on the number and types of citations listed. 4. While writing your paper, use the Zotero tab in Word to insert citations and a bibliography. 5. See the Zotero Quick Start Guide for more information. 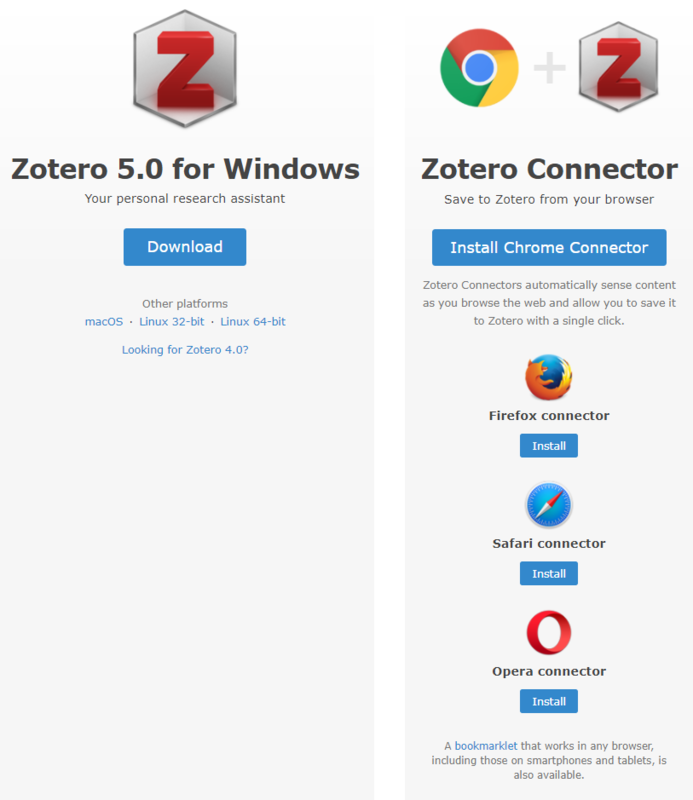 Use the Zotero Connector for Firefox or Chrome. Note that you cannot transfer citations between Word and a Google Doc so it's best to insert citations only using Word or only using Google docs. Learn more on the Zotero help page. Zotero works with the MIT Libraries' web catalog, Barton, but there's a trick to it. When you're on the list of results screen (not the detailed record screen), click on the Zotero icon in the web address bar to select one or more records to save to your Zotero collection. 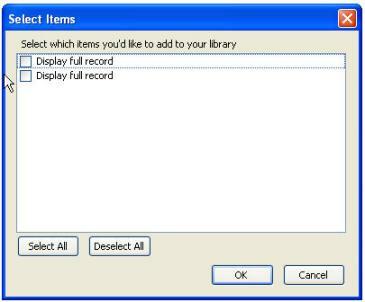 Zotero will not show individual titles when selecting which records to import, so titles in a list will be shown as "Display full record." After you import them, the titles will display correctly in your Zotero collection. Subject tags in library records will be saved into the tags field in Zotero. Zotero makes it easy to view the article for a citation that you have saved in your Zotero collection, but there is a setting that you can adjust to make it more reliable from off campus. To set MIT as your favorite library, click on "actions," "preferences," then in "Advanced," enter "https://sfx.mit.edu/sfx_local" as resolver, version 0.1.